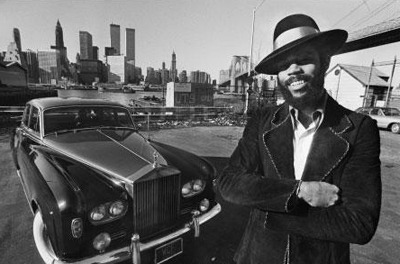 The nickname "Clyde" originated when Frazier, as a rookie on the Knicks, wore a particularly flamboyant hat in the locker room. The following week, the movie Bonnie and Clyde hit theaters, and in the film Clyde wore a similar hat. Knicks veterans picked up on the resemblance, and the nickname stuck. Growing up amongst segregation, Frazier truly believes that the South would still be segregated today if it wasn't for sports. Specifially, he cites legendary University of Alabama Head Coach Bear Bryant's reluctant decision to recruit African-Americans as a real turning point in Southern integration. It may come as a surprise to fans of Frazier's polysyllabic announcing style, but he had trouble with academics. He was initially recruited by the University of Indiana to play basketball, although his SAT scores were too low for him to ultimately gain admission. And he was academically suspended from his college team (Southern Illinois) for his entire junior year due to poor grades. During the year he was suspended, his college coach refused to let Frazier practice on offense, relegating him solely to defensive play as punishent. Frazier credits this experience for his eventual otherworldly skill on the defensive side of the ball. Eventually he became a seven-time All-Defensive Team member in the NBA. Frazier was one of the few players in NBA history to have such a lengthy career without once receiving a technical foul. While a teammate of Frazier's on the Knicks, Phil Jackson chided the always-stylish Frazier: "how can you spend fifty dollars on a pair of shoes?" Frazier retorted, "how can you spend twenty-five dollars on each technical?" For the record, Frazier was nattily dressed as expected for the interview, in a bright green suit and bright orange alligator boots. He discussed his new Hell's Kitchen restaurant, Clyde Frazier's Wine and Dine, which is festooned with massive photographs of - surprise - Clyde Frazier. Kinda regretting not getting a picture / autograph with the man post-interview. Sheeeeit.